The initial Spartan product line was designed in the early 80’s. The concept of interchangeability and upgradabilty was and still is at the center of this design. You are upgrading your system from pneumatic to electric. 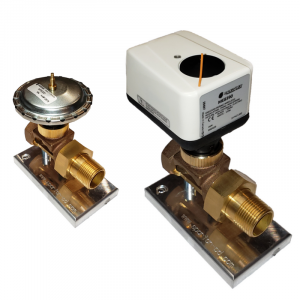 With Spartan terminal unit zone valves, all you need to do is unscrew the pneumatic actuator by hand and replace it with a spartan electric actuator. Same would apply with Spartans complete line of actuators.